Insomnia, or sleep depriva­tion, is a very frus­trat­ing con­di­tion. Lack of sleep, or insom­nia, is very com­mon but the reas­ons why people do not sleep are unique to their bod­ies and their lives. The mind-body con­nec­tion is very much alive when sleep­ing is not occur­ring; either our minds have taken over and are unable to shut down to allow us the rest we need, or our bod­ies can­not get us to sleep as they should know how to do. Sleep depriva­tion con­trib­utes to high­er incid­ences of aggres­sion, depres­sion, sui­cide attempts, as well as increased num­bers of auto­mobile acci­dents. If not sleep­ing is actu­ally harm­ful to one’s health, then why are we not sleep­ing? So, you are des­per­ate to sleep. You turn to phar­ma­co­lo­gic­al sup­ports. Current phar­ma­co­lo­gic­al sup­port for insom­nia involves sed­at­ives such as ben­zo­diazepines (i.e. Valium) which do induce sleep, how­ever their addict­ive prop­er­ties induce depend­ency with­in weeks, as well as con­trib­ut­ing to memory loss and a feel­ing of fatigue through­out the day fol­low­ing. While sleep­ing, dis­turb­ing night­mares occur when using ben­zo­diazepines, which can often be more troub­ling than not sleep­ing. Knowing the reas­on for why you are sleep­ing makes these sleep sup­ports more effect­ive. If you don’t know why you are not sleep­ing, then you will inev­it­ably pick the wrong one and won’t see bene­fit (i.e. GABA helps with a more anxious and busy mind and melaton­in is a bet­ter choice when the sleep rhythm is com­pletely out of bal­ance). 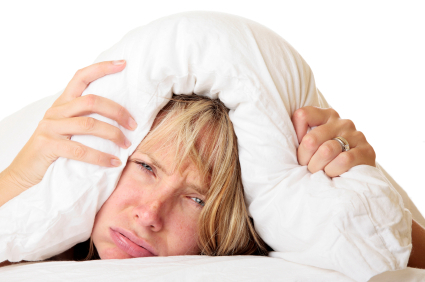 If you are really stressed out in gen­er­al, then it will take longer to re-estab­lish sleep. There are many pos­sib­il­it­ies to help you get back to sleep – choos­ing the right one for you may involve a rela­tion­ship with a natur­o­path­ic doc­tor, but it is pos­sible!